Communication is and always has been crucial to keeping customers happy and your company alive. Without any form of communication, it would be nearly impossible to run a business. Employees would never know what was going on. Customers would be at a loss and very confused or let down. Even your functionality and operations would quickly fall apart! While verbal communication is often the default way to go, you’ll always want to provide nonverbal, visual communication. And what better way to present that in our modern world than with digital business signage? Custom digital signage allows your business to be a leader in a quickly progressive technological field. If your company or organization is settled in the Tucson area, reach out to us today! SpeedPro Imaging Tucson wants to create all of your visual promotions. When it comes to digital signage pieces, we excel! Using bright and colorful graphics from SpeedPro, translate your communicative messages through a vibrant digital screen for all to see. Our studio can provide digital signage in all areas of your office that receive attention. Welcome customers at reception, and guide them toward the necessary rooms or hallways. You can also keep a running screen of promotional offers and general information that customers would be interested in knowing about. You also have the freedom to choose how often you want to remake your messages. You might want to rotate through multiple messages a day! Or your business may need an update and refresh at the start of each day. 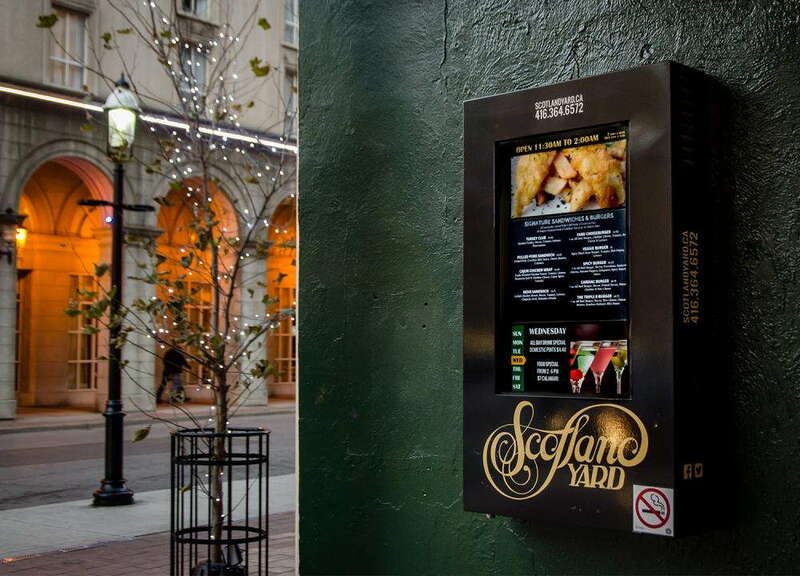 Your digital signage will be adjustable to your schedule, so whatever you have in mind, we have the solution. 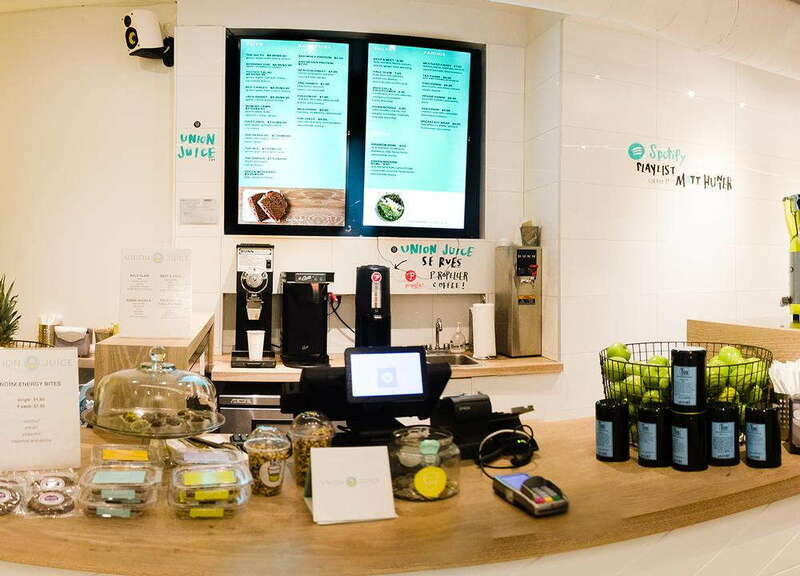 The information you provide in your custom digital signage for your business is adaptable to your branding needs. Boards can announce a political campaign’s beliefs and stances on hot topic issues. 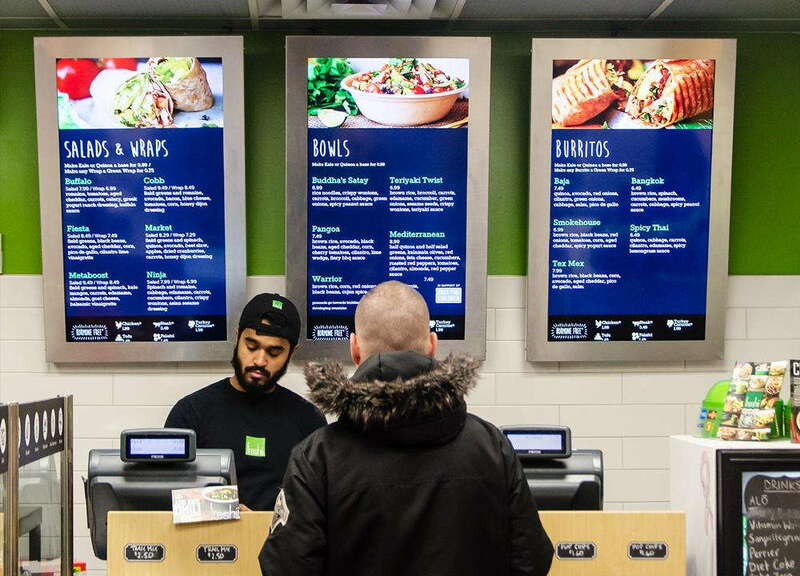 Restaurants advertise their ever-changing menus with what’s in and out of stock and promote new additions. Offices can present their hours of operation and any details that need to be portrayed to customers in the lobby waiting area. 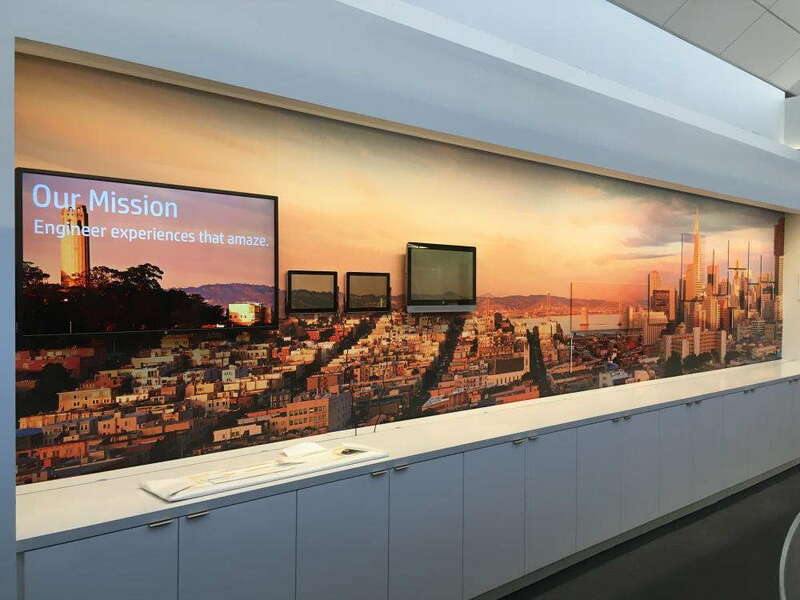 Inside offices, digital signage can even be used for internal messages for employees. Announcements can be spread across a flashing screen with new alerts and updates. Notify staff of any dangerous situations, whether inside or outside the building. To keep it fun, you can even motivate your team by posting and sharing successes or announcing staff birthdays! Digital signage can keep your business updated and innovating in our vastly changing technological world. If you’d like to know more about the benefits of digital business signage, call us today! Our team will answer your questions and schedule a consultation to discuss your business and branding needs and come up with the best solutions.